Now, with a more strict schedule to maximise the number of speakers, interested presenters will need to contact NLAirsoft.com to discuss their presentations. Not all interested speakers will be accommodated given that we are on very limited time and thus, the earlier speakers can send their intentions the higher possibility of being given speaking slots. Regarding presentations, we would recommend that the slides be submitted to NLAirsoft.com at least a week before the Airsoft Meetup so they can be checked to avoid technical issues during the Meetup itself. This is so as not to delay other presentations when a technical problem happens with a presenter’s slides. Confidentiality will be assured so that any reveal that is targeted on the day of the Meetup will be kept secret. DID YOU KNOW? 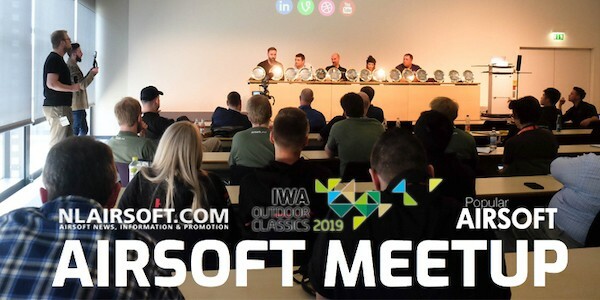 The Airsoft Meetup 2019 will be live-streamed in its entirety for the first time via Facebook (or YouTube). Since the Airsoft Meetup entails resources, we are also seeking sponsors to help us defray the expenses. Hopefully the regular sponsors will step up to the plate again to help us as well as new sponsors to ensure that we get to hold this year after year. We hope to see you all again next year in Nuremberg!